In today’s do-it-all world, women are busier and more tired than ever juggling the roles of mom, executive, volunteer, student, wife, friend, and everything in between. We’ve all been there – feeling frenzied and desperate as we try to keep it all together. Some days it feels like we’re managing everything well, but more often than not, it feels like everything is managing us. It is easy to become emotionally, physically, and spiritually exhausted. But it doesn’t have to be that way. It is possible to experience a life of peace and find rest for your soul – even with life’s demands. Cassandra's Review- The book is perfect for the mom that needs peace and a good time out. If you get up just a little earlier in the morning and take a few minutes of reflection with God, this book is going to get the spiritual juices flowing. Of course you can carve out any free time possible to work with this book as long as you can really devote and trust God. 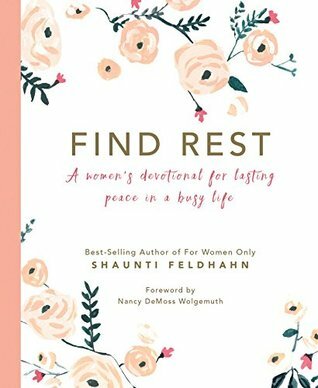 I would recommend this to a woman who loves the faith and spiritual connection with God and seeks rest.